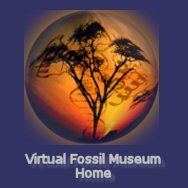 Possible fossil evidence of the earliest multicellularity comes from the 2100 million year old so called Francevillian B2 Group Fossils (FB2) in the area that is now southeastern Gabon laying west of the Congo in Africa. The strata, also called the FB2 black shales, yields pyritized macrofossils (the Francevillian biota) of diverse morphology measuring one to more than 10 centimeters, as well as acritarch microfossils. The age of these putative fossils coincides with the large rise in atmospheric oxygen that began at about 2300 million years ago, known as the Great Oxygenation Event. Thus, the age is consistent with the theory that oxygen production by photosynthetic organisms (i.e., mostly cyanobacteria) exceeded the rate of absorption in the oceans and its rocks, allowing atmospheric oxygen levels to begin to rise from negligible levels. Such atmospheric oxygenation would have, among other things, sparked evolution among eukaryotes at around 2300 mya. The reason these fossil survived the hardships of geological time was their pyritization, a process where the organic matter preserved remineralization of the carbon by sulfate reduction where dissolved ferrous iron is available. While such fossils are always controversial, with some scientists insisting they are pseudofossils, the FB2 fossils do appear to be organisms that while spatially separated, also led a colonial existence. Most importantly, the cells may have been differentiated. Diffrentiated means they exhibit patterns of growth determined from the fossil morphologies that are suggestive of intercellular signaling and thus of mutually synchronized responses that are the hallmarks of multicellular organization. The evolutionary leap to multicellularity would require the distinct cells to adhere, communicate, and cooperate with one another, and to specialize their respective contributions to the aggregated organism. The aggregated organism would also need to reject cells providing to collective benefit (i.e., similar to immune rejection). This evolutionary leap to multicellularity is believed to have occurred repeatedly in the evolution of life, and through many different biological pathways. The distinct and independent cells evolved the means to symbiotically organize, thereby thrive, and with such organization ultimately becoming genetically regulated so the multicellular organism operates synergistically in energy production and consumption, survival, and reproduction. 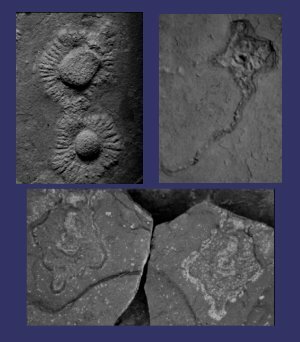 Presuming that the fossils of the Francevillian Series of Gabon are of ancient multicellular life, and possibly eukaryotes, it is interesting to consider that they were early in what is called the Boring Billion years of evolutionary stasis of such organisms, a stasis that would persist until the Ediacaran around 635 mya and the Cambrian Explosion at about 521 mya. El Albani A, Bengtson S, Canfield DE, Bekker A, Macchiarelli R, et al. (2010) Large colonial organisms with coordinated growth in oxygenated environments 2.1 Gyr ago. Nature 466: 100–104. El Albani, Abderrazak; Bengtson, Stefan; Canfield, Donald E.; Riboulleau, Armelle; Rollion Bard, Claire; Macchiarelli, Roberto et al. (2014). "The 2.1 Ga Old Francevillian Biota: Biogenicity, Taphonomy and Biodiversity". PLoS ONE 9 (6).